One of the many vehicles employed by the German army in WWII was the Volkswagen Type 82E. 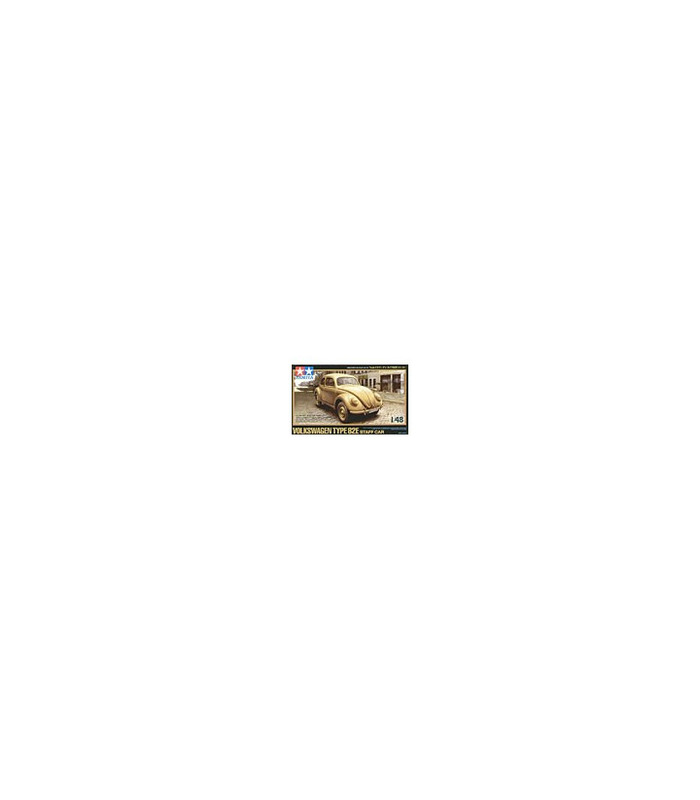 This automobile combined a sedan body with a Kubelwagen chassis for excellent running performance on rough terrain. Model can be combined with other MM series vehicles or 1/48 scale aircraft, such as one of Tamiya's Focke-Wulf, Messerschmitt or Dornier type planes, for impressive military dioramas. Entering production just prior to the start of WWII in 1938, more than 20 million models of the Volkswagen Beetle had been built by 2003. Known during the war as the Kdf wagen, the VW came in 3 types: Type 60 civilian sedan, military Type 82E, which featured the Kubelwagen chassis and a sedan body, and military 4WD vehicle Type 87. As many as 546 models of the Type 82E were built between 1941 and 1946. Featuring road clearance 75mm higher than the civilian model, the Type 82E offered improved driving performance. The Volkswagen Type 82E was used as a staff car by many German military and government officials. 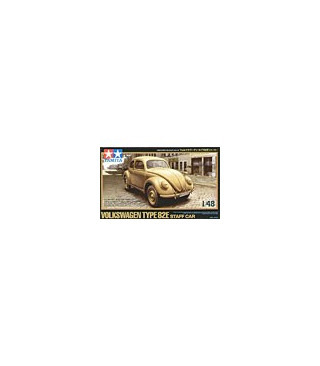 * Detailed 1/48 assembly model kit of the Volkswagen Type 82E. * Accurately depicts the distinctively rounded and curved body of the VW Beetle. * Model features few parts, allowing easy assembly. * Realistic suspension, chassis undersurface and off-road tires. * One driver figure included. * Choice of 3 sets of markings to depict German military car.